Get your photo taken with the Easter Bunny! Children of all ages will have a chance to visit the Easter Bunny and snap a keepsake photo. Local animal handlers will host two educational shows where you can learn all about Stanley, the Flemish Giant Rabbit, and some of his animal friends! Listen as Maggie Mae reads classic Easter tales like “Peter the Rabbit” and other stories. Get creative as you make your very own souvenir Easter photo frame! All activities will be held in the building on the Southeast corner of Civic Drive and 12th (formerly Charming Charlie). This event is hosted by Harsch Investment Properties, proud owner and property manager for Gresham Station Shopping Center. Connect on our Facebook page and stay tuned for more details! 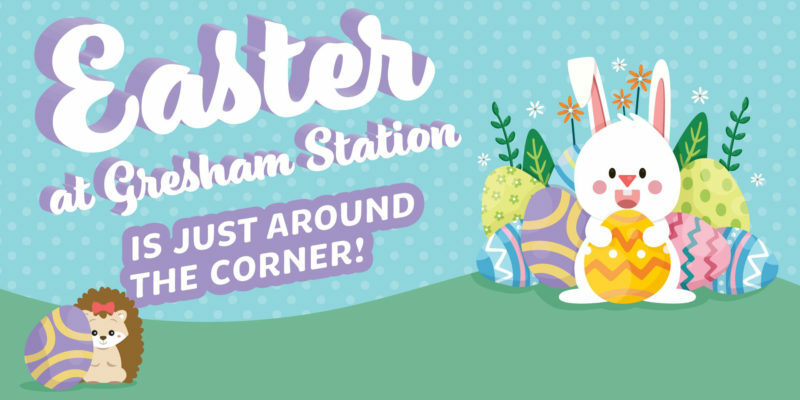 Thank you for joining us at Easter at Gresham Station! Welcome to Gresham Station, Joy Poke!